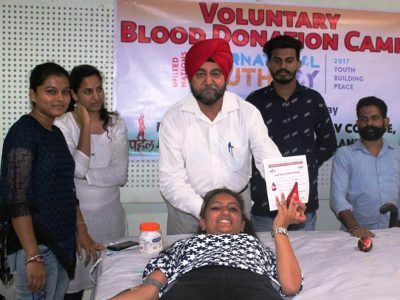 Youth organization PAHAL organized 601st voluntary blood donation camp on the occasion of foundation day of Bank of Baroda in branch football chowk. 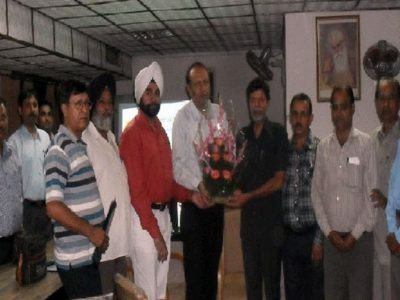 While coordinating Max Bupa its subsidiary under the patronage of Punjab State AIDS Control society and guidance of Medical Superintendent SBLS Civil Hospital Jalandhar. 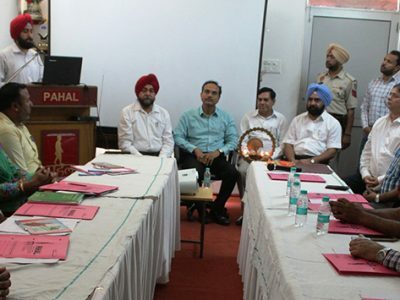 Inspiring and motivating with the opening words of the camp Prof. Lakhbir Singh president PAHAL said that blood donation is the sure certificate of wellbeing as only person with good health can donate blood. 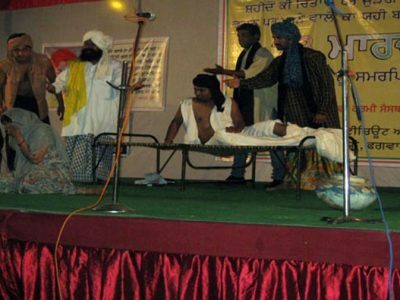 He added that low Hb., less weight, cronic health problem, unawareness and myths regarding voluntary blood donation are the major hurdles in promotion of voluntary blood donation campaign. In the past years PAHAL has mobilize more than 80,000 units of Blood since its inception. Sh. B R Dhiman AGM BOB said that out of many alternatives to observe the foundation day voluntary blood donation was the most befitting event to mark FD of Bank of Baroda that is why it is being done, he appreciated PAHAL for this noble work. 40 persons donated blood on the occasion. All donors were honored with certificates and mementos. 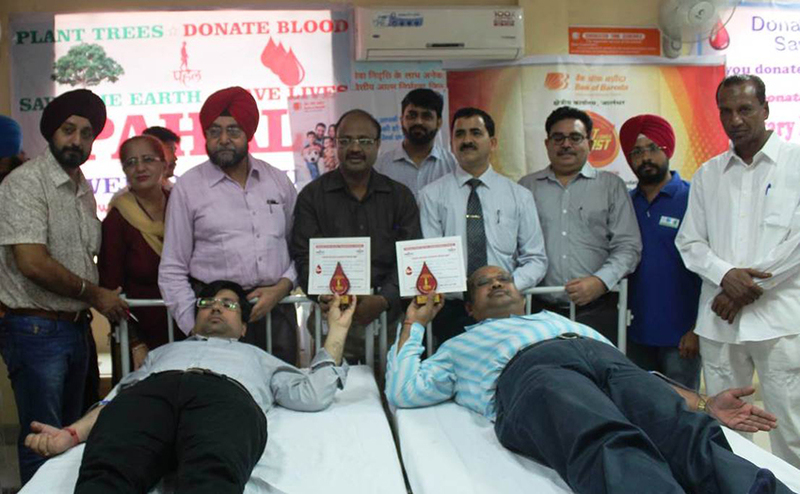 BTO Dr. Gagandeep Singh collected donated blood with the help of worthy team of SBLS Civil Hospital Blood Bank. 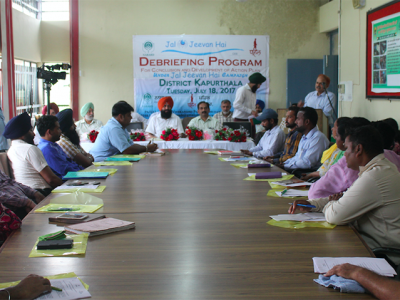 Among other there were Rajpreet Singh Cluster Manager Max Bupa, Deepak Kumar Branch Manager, Sarbjit Singh Branch Manager, Sh. 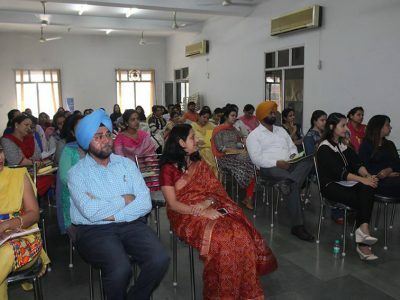 Rakesh Kumar, Sonia, Sunny Rajput, Monita Rawat, Robert Masih were present. 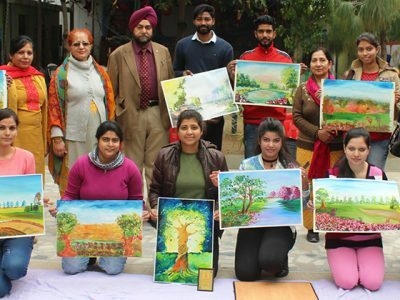 Mrs. Harvinder Kaur Principal NIRMAAN School and EM PAHAL specially visited the camp and presented vote of thanks. Star health organization organized a free medical checkup camp. Dr. Rajjat Pandit examined 100 and given the medicines.